Ever thought about homeschooling and how to start homeschooling your kids? 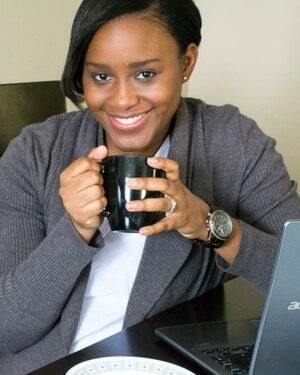 Today I am going to walk you through all the major things you need to think about when choosing this lifestyle. I have also included a downloadable checklist at the end of the post to help you. Choosing to homeschool your children can be one of the most rewarding things you will ever experience. It may also be the hardest thing you have ever done. This is why it is very important to know ahead of time why you want to homeschool your kids. Knowing your why will help you on the days when you are so frustrated with your kids that you cannot even see straight. It will help you when your kids look blankly in your eyes and tell you that they do not understand something even when you have been teaching that concept for the past month. While you are thinking of your reason for homeschooling, be sure to think of the pros and cons of choosing to homeschool. Do you have a lot of cons? Go through them one by one to see if they can be eliminated. For example, if your con is that your kids will not be around children their age, then think of signing them up for a sport or join a homeschool group that meets regularly. Fill out number 1 on the guided checklist below. Its at the end of this post! Every country as well as state/ province have their own laws for homeschooling. For example, if you lived in Germany homeschooling would be illegal. If you live in the US, then simply go to this Homeschool Legal Defence website that has all the laws categorized by state. Are you a fellow Canadian? Don’t sweat it, I’ve got you covered as well. Head on over to Homeschool Laws and Regulations. Now that you have researched the laws for where you live and you decide that you do want to homeschool, register with the HSLDA. This is something that my family intends to do for the next school year. Make note of your laws on the guided checklist below. Let me start by saying that you do not need to buy curricula to homeschool. I will add however that buying curricula makes life easier. When deciding on what curricula to buy, aim to buy Math and Language Arts first before adding the extras. Do you want to teach your kids or would you prefer that they learn independently with the help of videos? These are all things to consider when it comes to your teaching style. Would you also prefer a curriculum that involves lots of planning ahead of time or would you prefer an all in one so that you can simply open the books and teach? After years of homeschooling, I am now at a stage that I prefer to have the fundamentals (Math and Language Arts) open and go and the other subjects instead of planning weeks ahead. I don’t need the additional headache. If your kids are likely to go mental at the sight of a worksheet, ensure that you choose a curriculum that uses little to no worksheets. Choose a hands-on style that keeps them busy. Homeschool On has a very helpful curriculum quiz that you can fill out to help you choose your curricula. Note that it is not all inclusive but is a good starting point. Fill out YOUR learning style and teaching style preference. If you have decided on a curricula, write that down too in your guided workbook. Its at the end of this post! 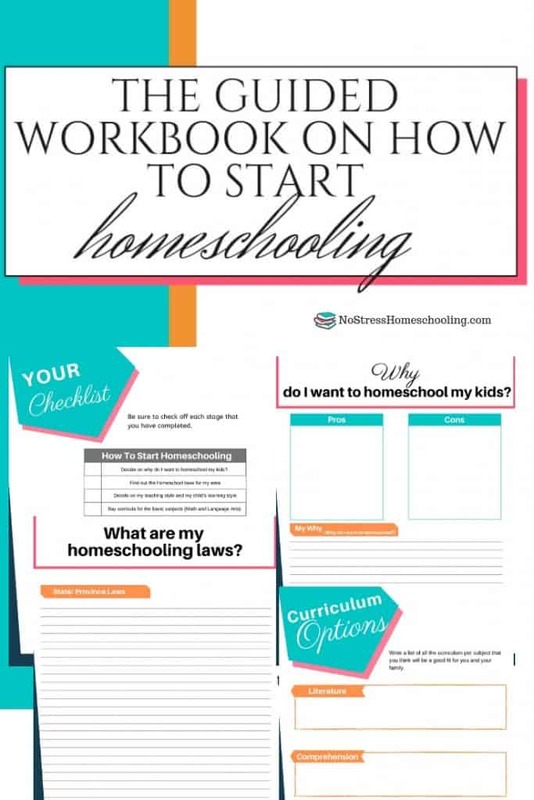 I know this seems pretty obvious but just in case you get overwhelmed with all the choices out there, and there are a lot of them, choose the one that works best according to what you wrote in the HOW TO START HOMESCHOOLING GUIDE. Where in your home will you homeschool? Do you need to have a separate room to do this? The answer is no. If you do have an room that you can dedicate as your homeschool room then use that. Our family does not have an extra room and I used to feel as if we were missing out on that experience. Years later, it honestly doesn’t matter. So how do you homeschool without a room? We homeschool at the kitchen table. Our table is long enough to seat us all as well as the curricula we are working on for that day. I sit at the head and my kids sit on either side. They each have their totes with all they need as well. All their homeschooling material is then stored on a bookshelf I found at our second hand store for $2. The kids and I painted it white. Write down where you will be homeschooling on your guide. Its at the end of this post! Will you homeschool in the morning or in the afternoons? 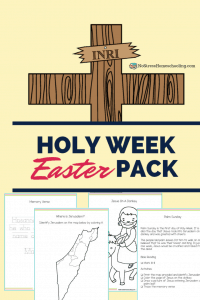 Perhaps you want to homeschool 5 days of the week or want to take a day off to catch up or get out of the house. These are all things to consider when planning your homeschool year. Do you want to follow the school calendar? Then be sure to mark down all the school holidays on a calendar. Maybe you have heard of year round homeschooling? Then start researching year round homeschooling for ideas. Jot down what your homeschool year will look like. Traditional? Year Round? 4 Day week? 5 Day week? Read through the curricula to get a better feel for what needs to be taught and how it should be taught. 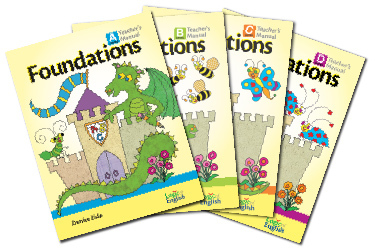 When we progressed from Logic of English’ Foundations to Essentials, I had to block off a day just to read the introduction and how to teach my kids. There were videos that I also had to watch. Jot down how long you will take to familiarize yourself with your kids curricula in your guided workbook. Its at the end of this post! Are you the type of person that prefers to map out every minute of the day? If yes, be sure to schedule your homeschool day this way. If the idea of mapping out every minute scares or stresses you out then keep reading to see what we do. 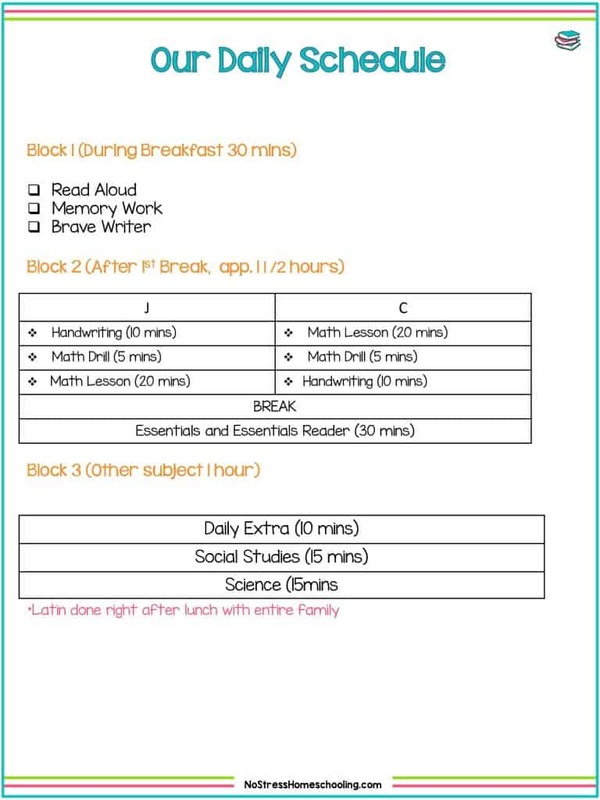 We have been following more of a homeschool flow as opposed to a strict schedule. This allows us to go from one subject to the next. You can see a sneak peak of what our schedule looks like. Each subject is timed once my kids hear the alarm they know it is time to switch to the next subject. I will talk about how I created this flow in another post. Another tip on how to start homeschooling is to find a community. Homeschooling is best when you have someone to chat to and to vent to. If you are lucky enough to have a co-op nearby then be sure to join it. If not, be sure to join a Facebook homeschooling group such as the No Stress Homeschool Group. If you are also looking for activities for your kids to do outside of homeschooling then see what your town has to offer. My kids do hockey (I basically live at a rink from September to April) as well as swimming, soccer and a weekly kids club. Decide on what communities you and your kids will join. Jot it down in your free guided workbook. Its at the end of this post! 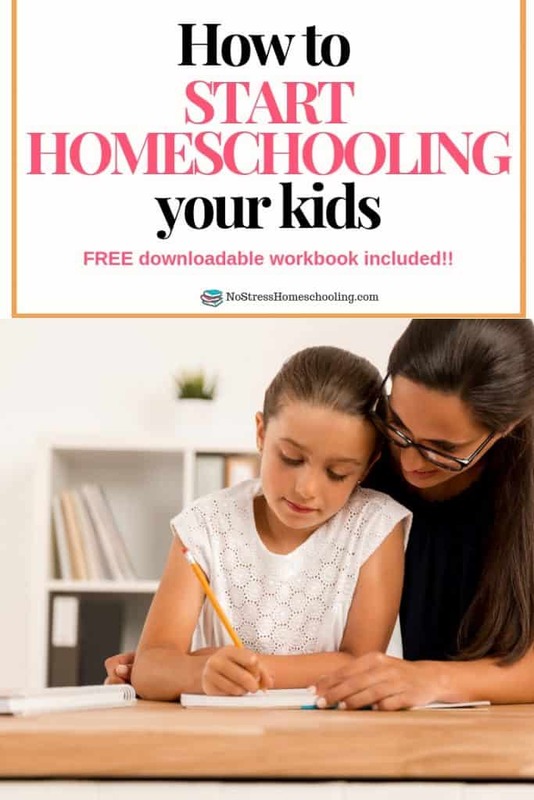 If you aren’t sure how to start homeschooling your kids but know that you want to, download and follow the guide below to get you on the right path.